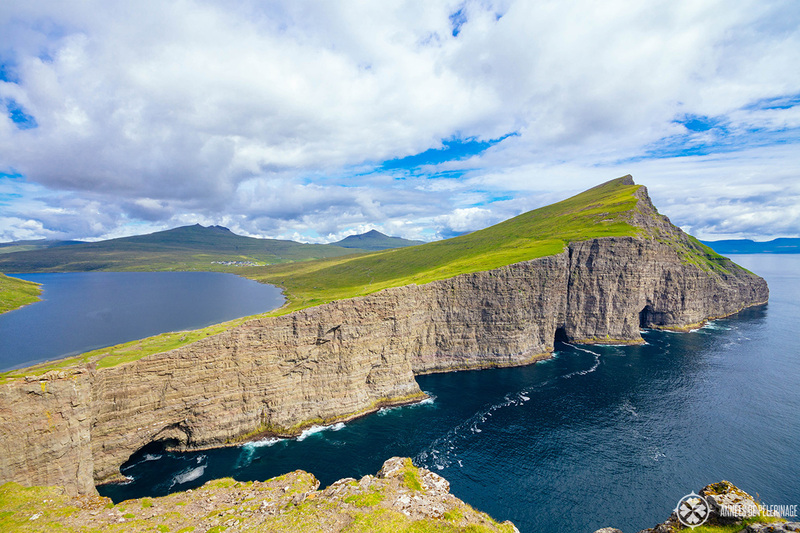 A stunning list of the best sights and destinations in the Faroe Islands. 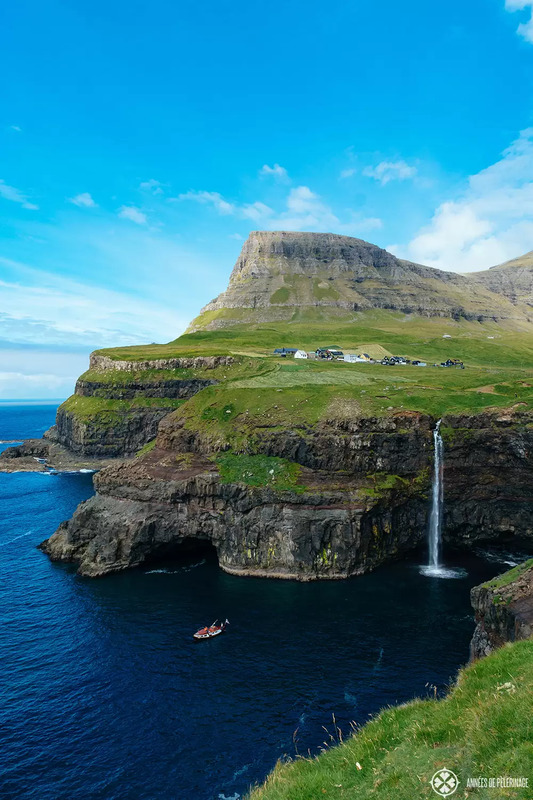 The Faroe Islands might be the prettiest place on the planet. I am serious. I don’t get excited easily about a place. After more than 30 years of traveling you just don’t. But the small North Atlantic archipelago between Scotland, Norway, and Iceland is seriously a fairy tale come true, and then some! 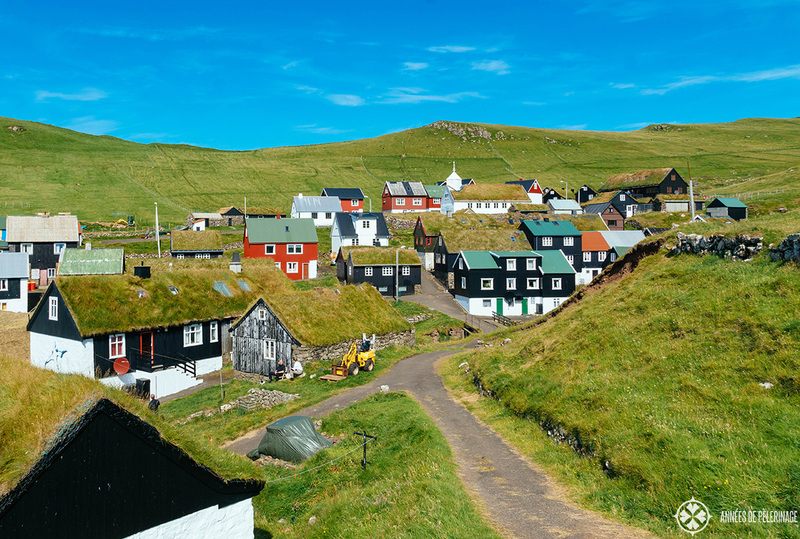 There are just so many utterly beautiful things to do in the Faroe Islands. Everything, and I really mean everything, screamed picture-perfect. Driving around with the car, I didn’t know where to look first. Left, right front, I felt no matter which side I picked, there was beauty all around it. 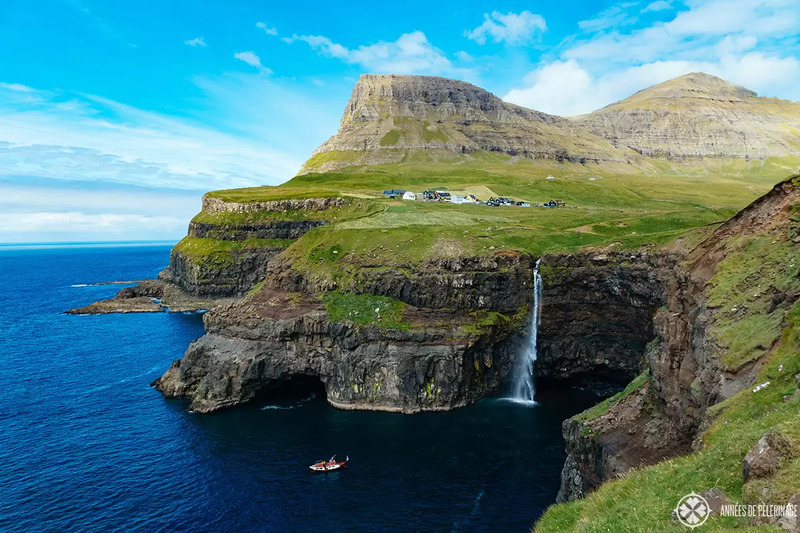 The Faroe Islands (sometimes also called Faeroe Islands) are loosely associated with the Kingdom of Denmark and cover about 541 square miles. The population of the self-governing Arctic country is only about 50.000 people. Rumor has it that there are more sheep than inhabitants. I’ll willingly admit that I really lucked out on the weather. Normally, or so I’ve heard, there is a lot of rain and bad weather on the Faroe Islands. But during my trip in early August, I didn’t even see a single rain cloud. Just sun and perfect blue skies. 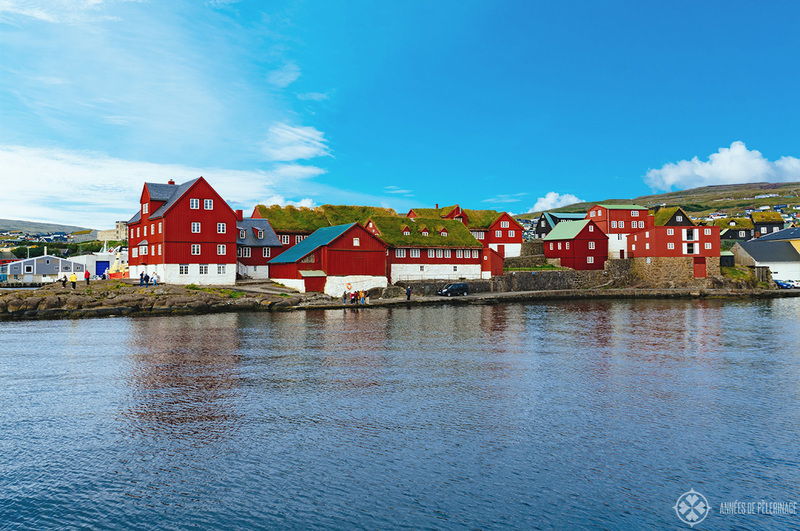 If you were wondering what to do in the Faroe Islands, here are some of the tourist highlights to convince you to go. But do visit now, before the rest of the international tourist crowd realizes this is the next hot spot. Gásadalur is not from this world. It just can’t be. A tiny, colorful village with grass thatched roofs abutting a jaw dropping cliff, a beautiful mountain in the background and a waterfall crashing right into the ocean. Even if you wanted to, I’m quite sure you couldn’t come up with that much beautiful scenery in your wildest dreams. The town used to be one of the most remote places on the islands. Up until 2004, there was only a small hiking trail to reach the tiny village of 18 inhabitants. Now, Gásadalur has a tunnel, so you can reach it easily by car. In fact, the picturesque town is only a 10 minutes’ drive away from the airport, so you might want to see it straight after you arrive (or before you leave). Puffins are my favorite birds! They are just beyond cute. I’ve seen them on Lunga in Scotland (read all about it here), but not even that amazing trip prepared me for the small islands of Mykines. 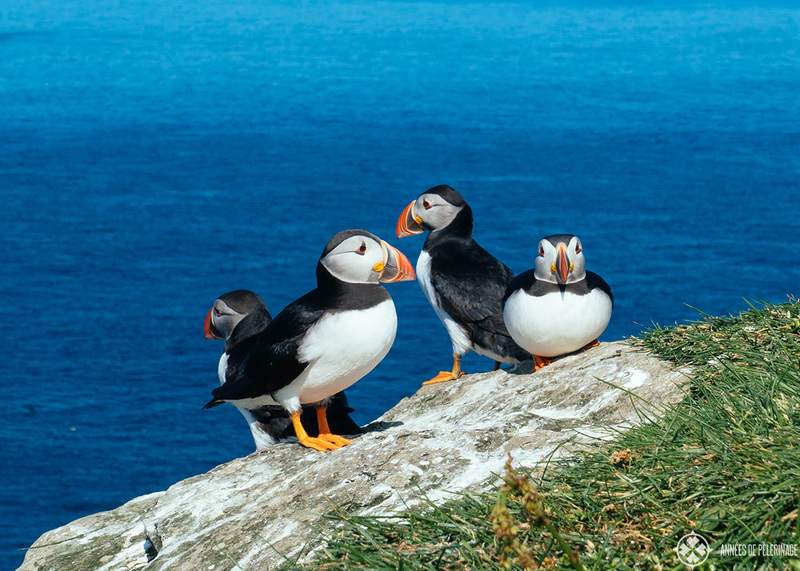 First of all, there seem to be virtually millions of puffins. They, an about 20 other species of seabirds, come here because of the nutrient-rich waters the gulf stream carries past the island. And then, there are these high cliffs that turn everything into a wonderland. But it wouldn’t be the Faroe Islands if there wasn’t a pretty lighthouse and cute little town in the background. Seriously, it really feels like after God finished creating our earth, he didn’t actually rest on Sunday but decided to outdo himself on the Faroe Islands. Mykines is just sooo unfathomably beautiful. 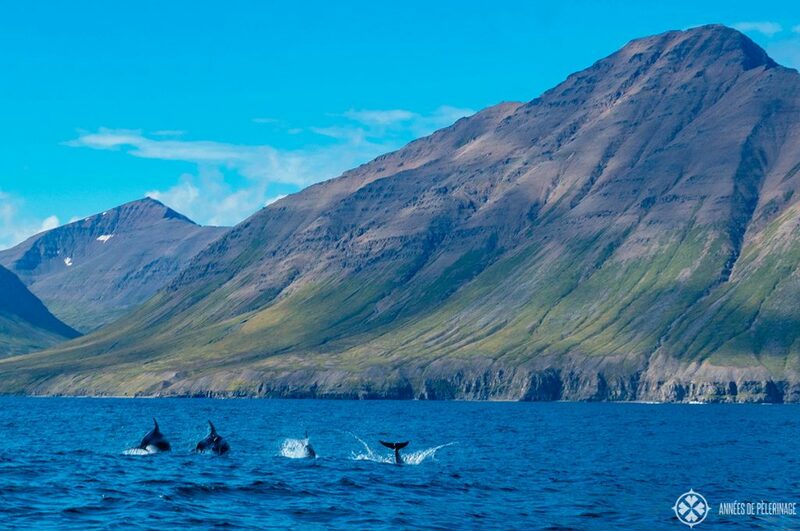 If you are lucky, you might even see a couple of grind or pilot whales on your boat trip (tho they usually stick to the Fjords). Pro tip: Atlantic Airways runs a helicopter service to the island (a really cheap and subsidized service!). 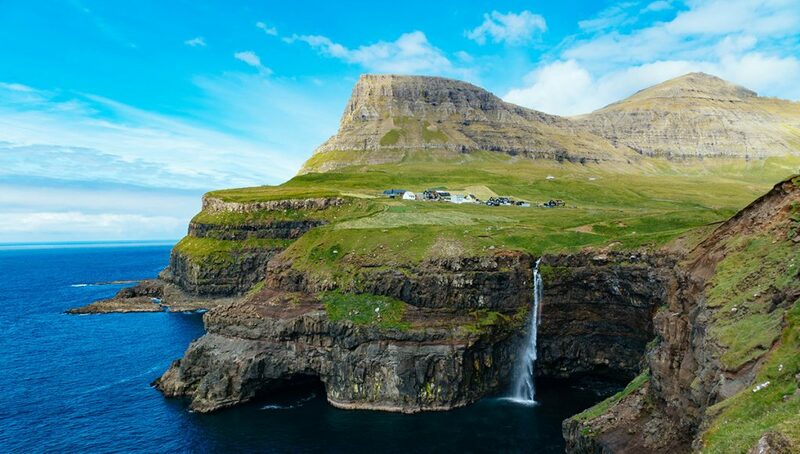 You’d have to book in advance via their website to get an unforgettable glimpse of the Faroe Islands from above. 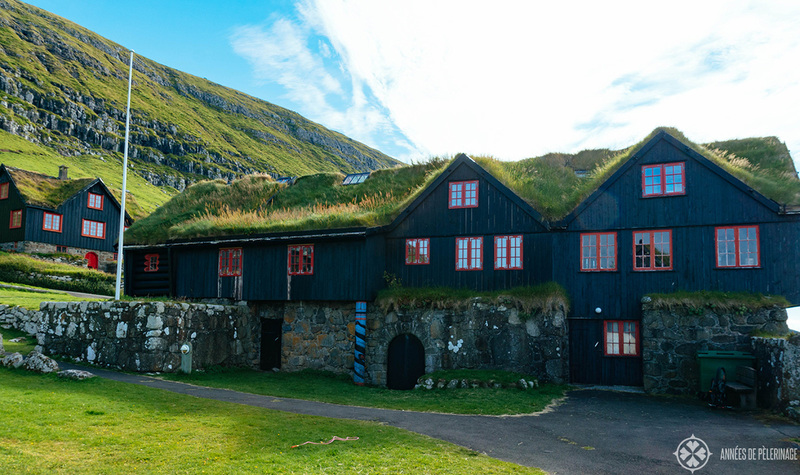 Another place you really have to put on your list of things to do in the Faroe Islands is Saksun. This is another postcard-perfect village this time hiding at the very end of a remote fjord. The houses here are very old, very traditional, and well, perfect. It’s just another of these points of interest in the Faroe Islands rendering you utterly speechless. I visited this tiny village in the north of the main islands Streymoy expecting just another colorful small town. 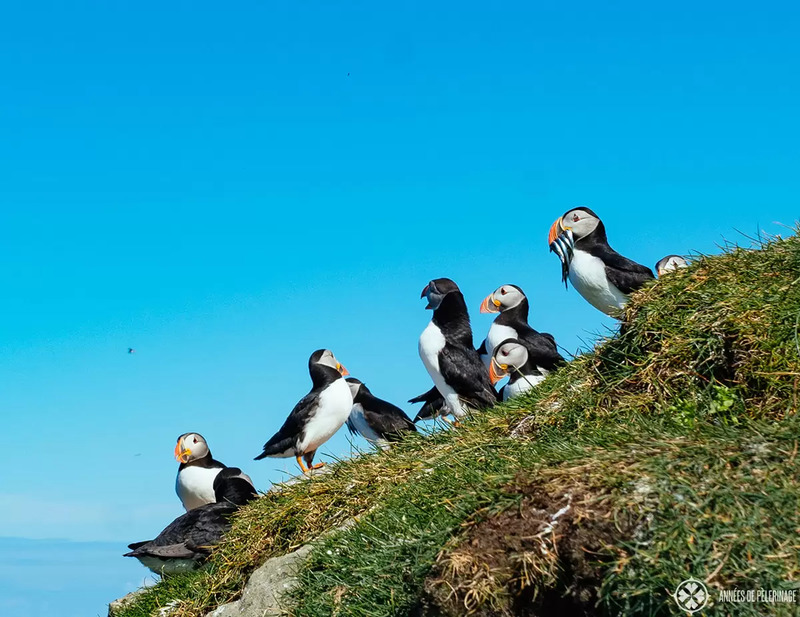 While there are many of them on the Faroe Islands, each and every single one seems different and special. You really can’t get enough of them! Sørvágsvatn, on the island of Vagar, is the largest lake in the Faroe Islands. Sounds boring? Well, not exactly. Sørvágsvatn is flowing right into the ocean and is surrounded by high cliffs. From a certain perspective, it looks like the lake is situated above the ocean. 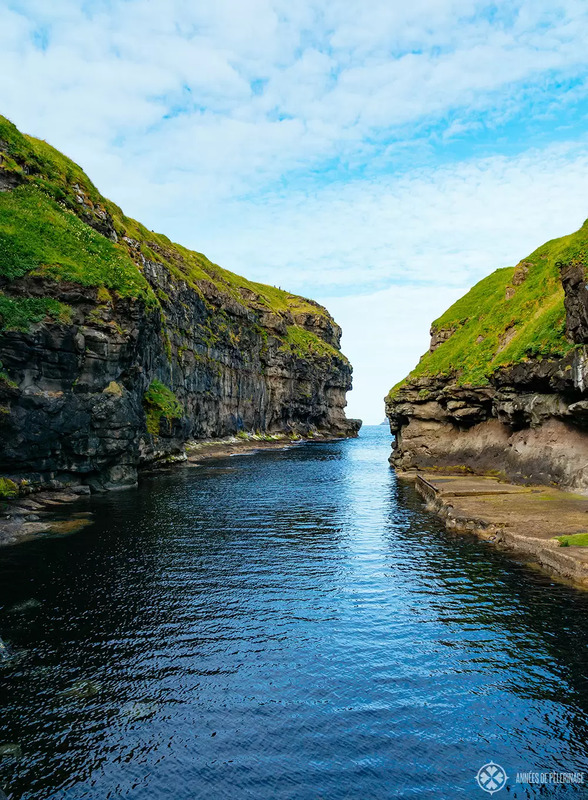 I know, this is probably the fourth time I am mentioning this, but Sørvágsvatn is another of these inconceivable must-see places in the Faroe Islands. 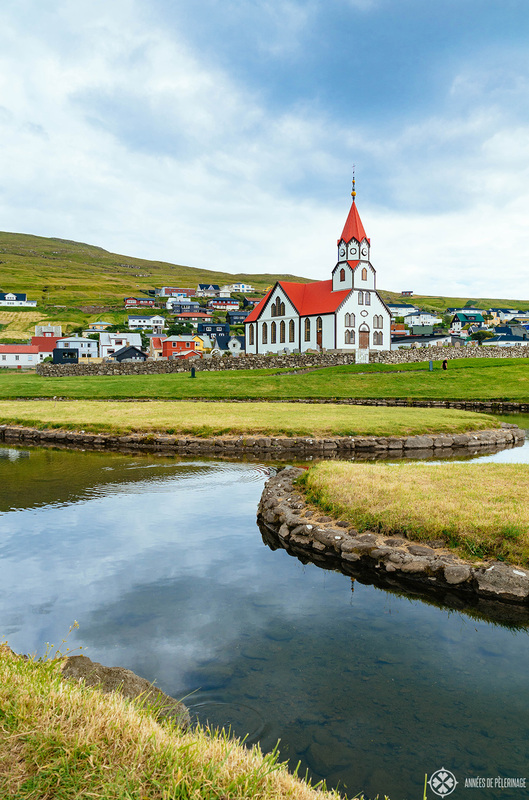 You will drive by Sørvágsvatn on your way to and from the aiport – and as it’s one of the many free things to do, you might consider heading there straight after you arrived. Gjógv is truly a fairy-tale village. Yes, another one! But Gjógv on the islands of Eysturoy is special as its natural harbor somewhat looks a bit like the earth has been ripped open. It’s easy to imagine a Viking ship docking here! Okay, I’ll admit it: the village itself would be worth a visit even without this 200-meter long gorge. But I just mentioned it as a good excuse to visit, eh? If you want to find out more about Gjogv, I urge you to read this excellent guide. Now it’s important to notice that the Faroe Islands are anything but flat. In fact, you’ll have a hard time finding a long stretch of level ground. Even the airport is quite a daunting construction. Either way, you really have to go hiking while you are there. And there is no better place to start than with Faroe’s highest mountain Slættaratindur. Why? According to the Guinness World Records, the top is the place with the longest sight line on this planet. 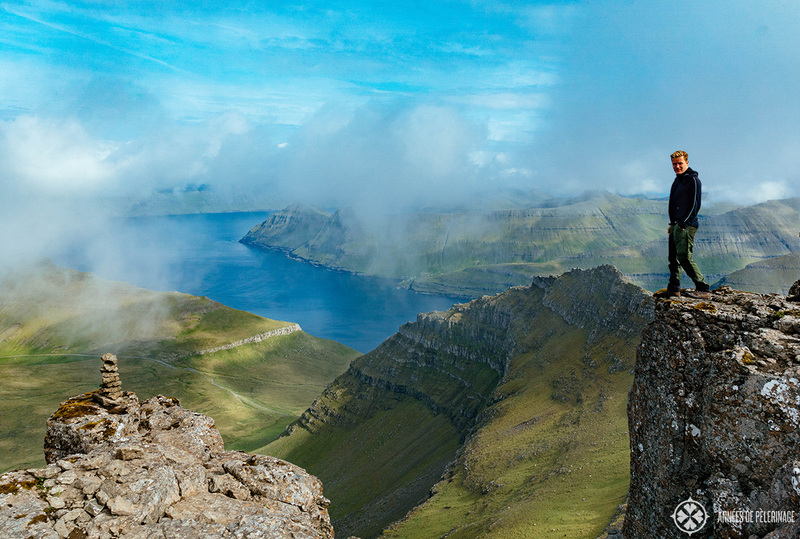 550 kilometers to be precise, which makes one of the best hikes in the Faroe Islands. On one of these super rare clear days, you are supposed to look all the way to Iceland. 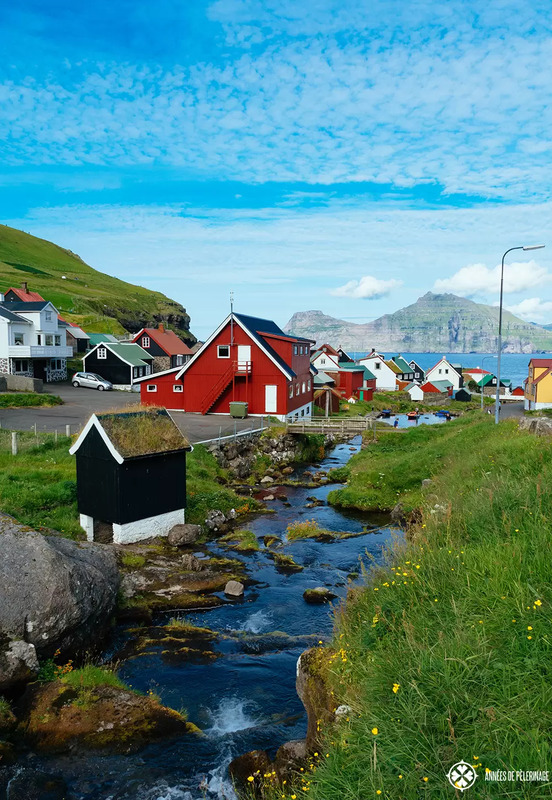 Which is actually a smart thing to do, as the Faroe Islands make a wonderful stop-over on your way from central Europe to Iceland. 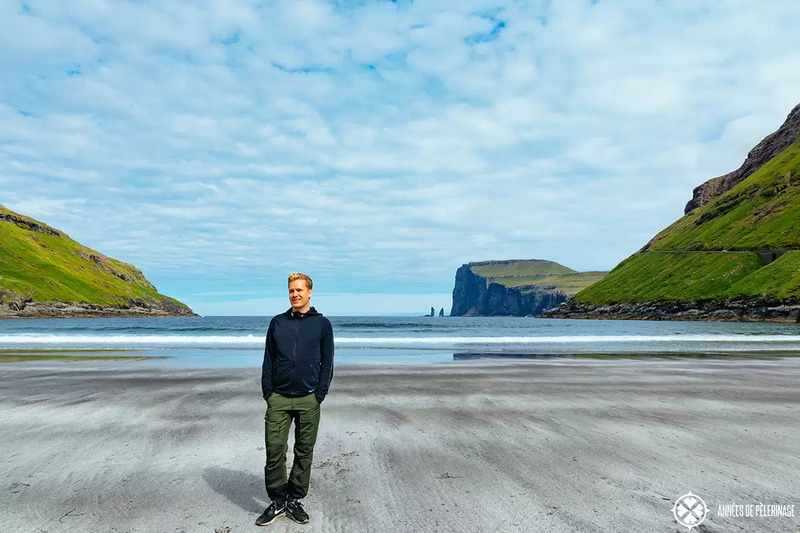 If that sounds just too good to resist, you’ll find my massive list of the best things to do in Iceland here. Now we already had pretty village atop the ocean, a pretty village in a fjord, a pretty village and puffins. So, what is missing? Exactly, a pretty little village by the beach. Where better to see that than in Tjørnuvík. For me, the tiny village in the far north of Streymoy might just be the prettiest town on earth. No joking. There may be just 64 people living here, but what it lacks in size it makes up with charm and setting. If you look to the horizon, you will see two needle rocks. They are called Risin og Kelling and according to legend, the one is an Icelandic giant and the other his witch wife who turned into stone. Apparently, they wanted to steal the Faroe Islands during the night, but didn’t manage to do so in time and turned into stone with the break of dawn. 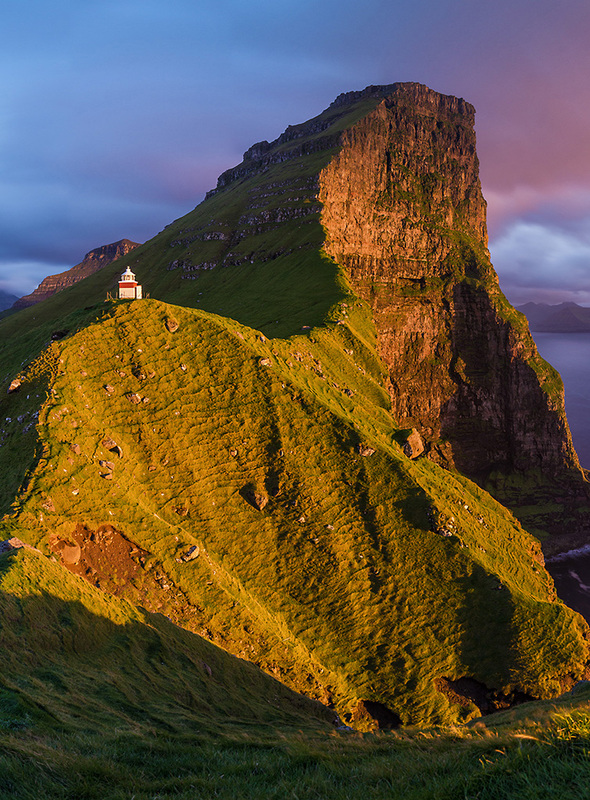 Kalsoy is home to one of the most famous lighthouses in the Faroe Islands. 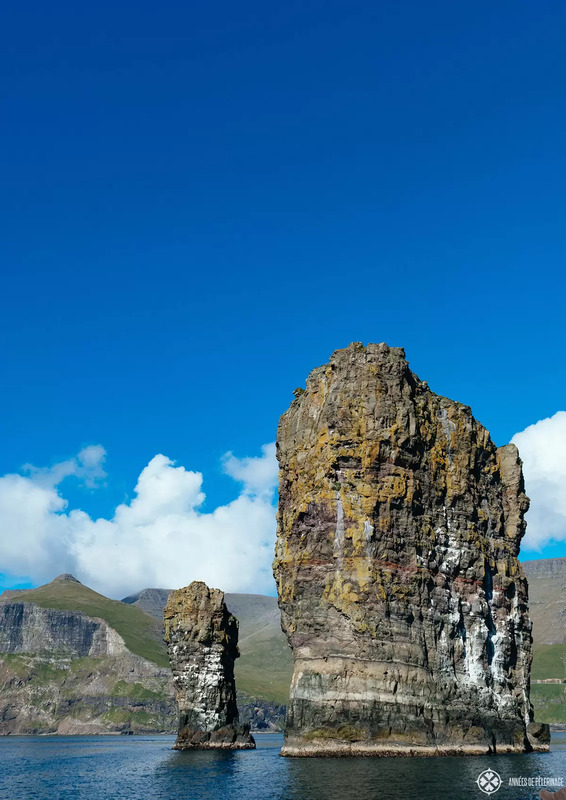 Kalsoy itself is small islands in the shape of a needle that is actually comparably hard to reach. There are no tunnels or bridges which interlink the other main islands, only a ferry makes it accessible. 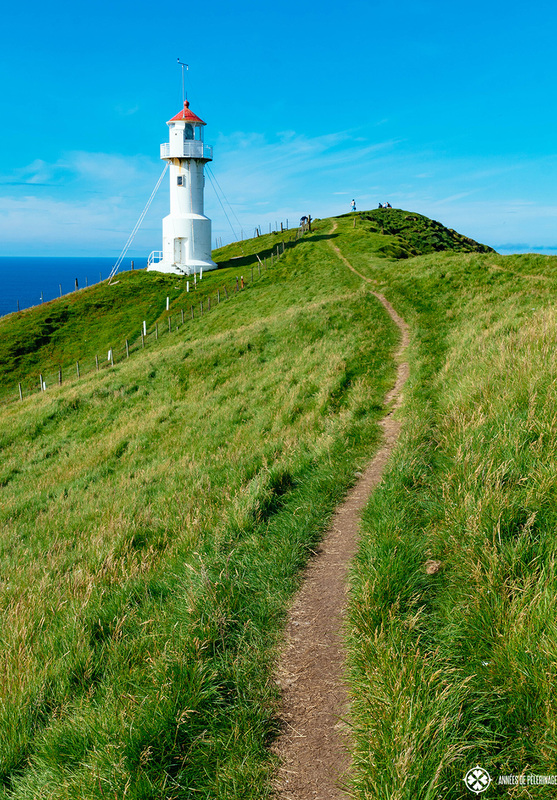 Still, you really have to drive the road up into the north and hike to see the unbelievably beautiful lighthouse. It’s no big affair, but the dramatic setting makes it worth your time. Do visit! 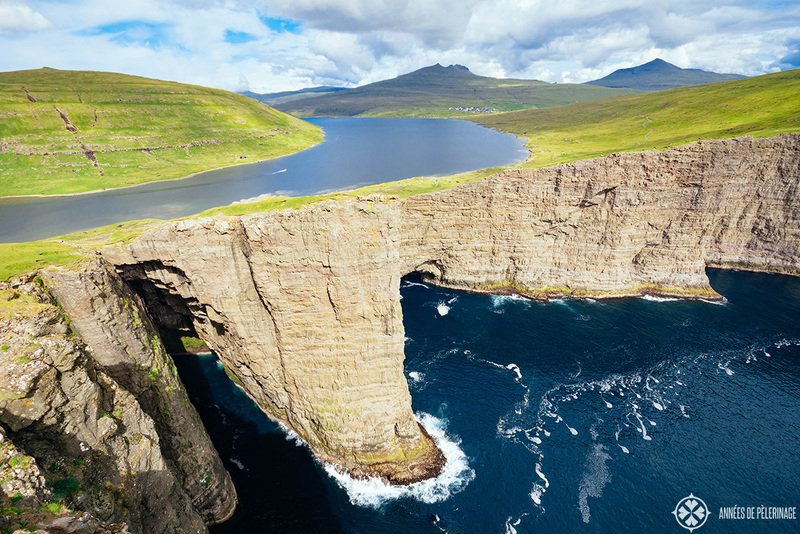 You already noticed that the rugged Faroe Islands are a place of extremes and beauty. 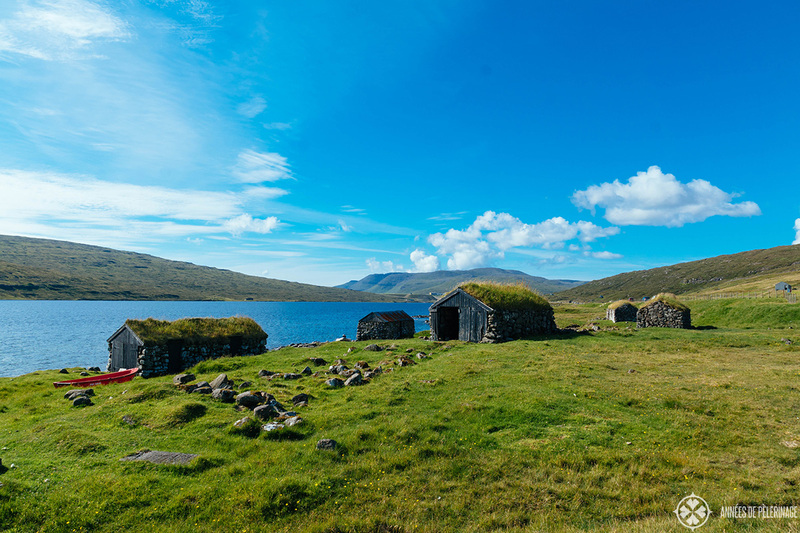 It is perhaps of little wonder that the oldest still inhabited wooden house in the world is located on the tiny islands. Kirkjubøargarður dates back to the 11th century and has been continuously inhabited by the same family since 1550. The Patursson Family is still living here, though parts of it have been turned into a museum. You definitely should not miss going inside and catch a glimpse of old Nordic culture. 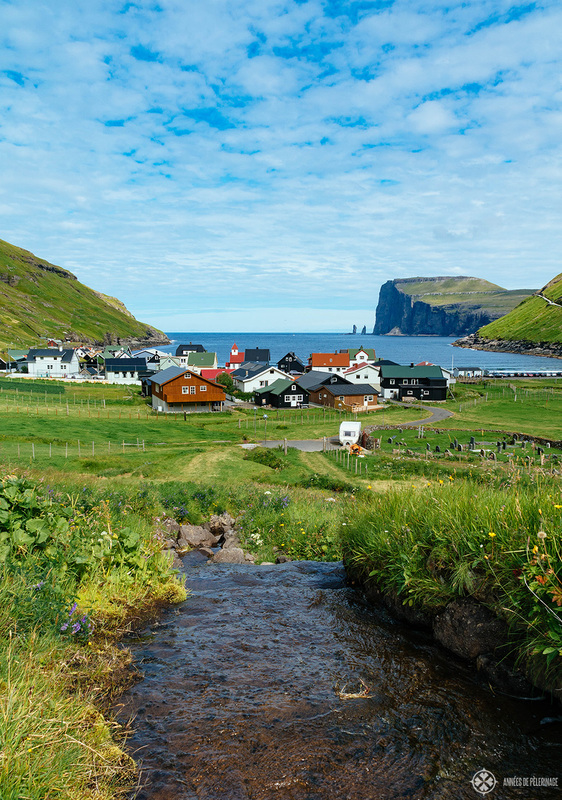 Last but not least, it will come as little surprise that even the capital of the Faroe Islands is cute beyond words. The government buildings are located in the oldest part of the city and scream “take a picture of me” from every bole and plank. I didn’t research it in depth, but I am pretty sure it is the only grass thatched government building in the world. The best thing about it: The government knows the buildings are a tourist’s favorite so there is a well-documented path leading through the old town, with lots of information boards scattered around. Oh, and absolutely do visit the old church. 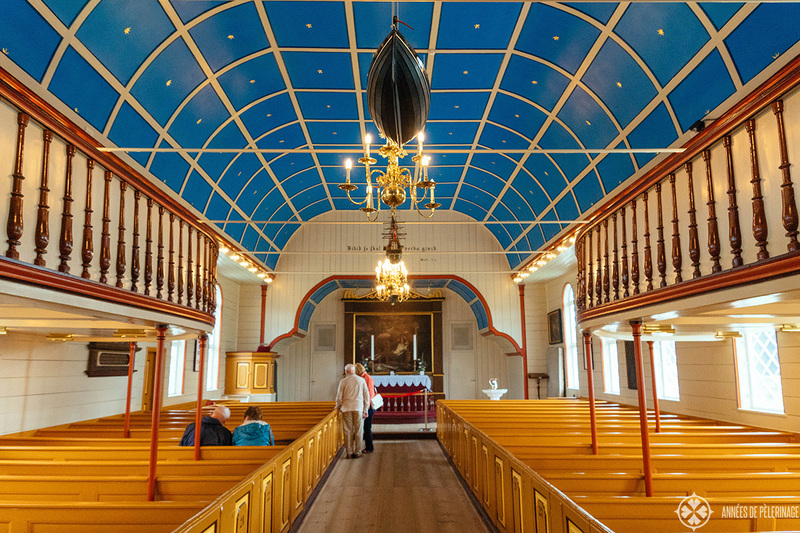 With its timbered interiors and votive ships hanging from the golden-starred ceiling, it is certainly one of the main highlights of the small capital. Other than that, there really aren’t that many things to do in Tórshaven, but you can take your time, walk around a bit and check out the shops in the pedestrian area. There are also a couple of really nice restaurants near the harbor, you really shouldn’t miss. Árstova is the most famous and in my opinion the best, as it serves traditional fare with a modern twist. 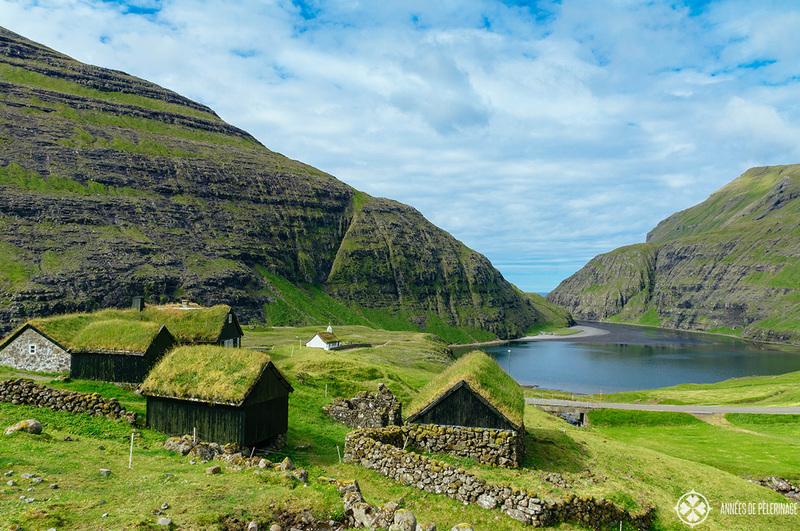 Are you not yet convinced you really need to put the Faroe Islands on your bucket list? I doubt it. But in the unlikely event you still need some persuasion, I got good news for you. 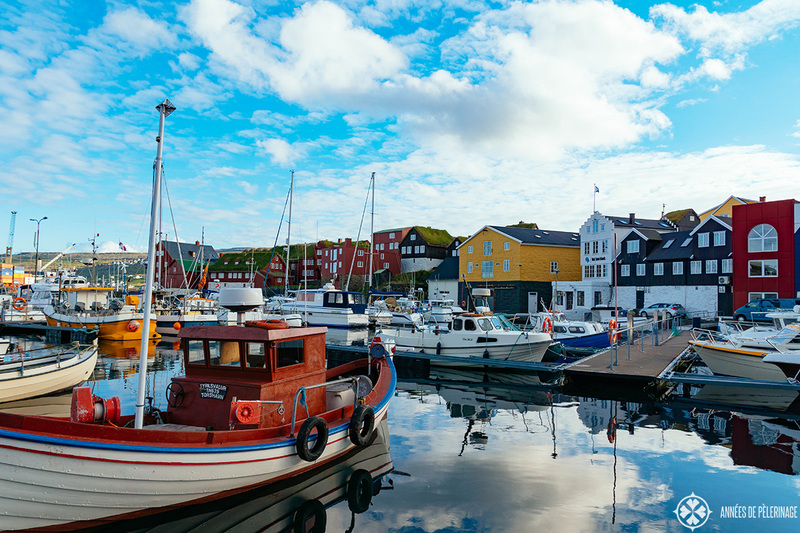 The Faroe Islands may be quite small, but there is beauty to be found around every corner. There is a sheer endless number of scenic hikes, villages, and roads you can take. During my trip, I seriously haven’t found a single spot that wasn’t beautiful. I already talked about the bird paradise the Faroe Islands are, but it’s also one of the best spots to see whales on this planet. Driving along the many fjords you can even see them from the car. There’s not even a need to go on a special whale watching tour. Crazy, eh? The Vestmana Bird cliffs (Vestmannabjørgini) are also very famous, and more than worth a visit. 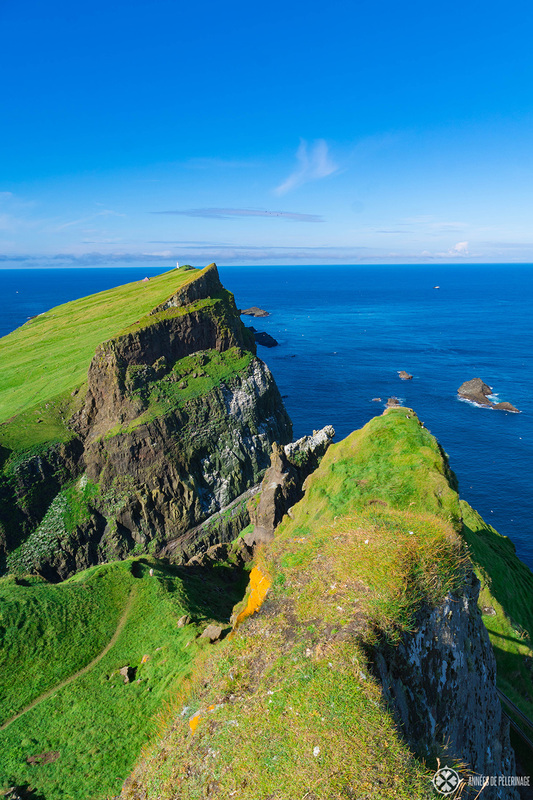 So is the island of Nólsoy with the largest colony of storm petrels in the world – just another of these world record places the Faroe Islands are so abundant with. Note: I do get commissions for purchases made through the links below. 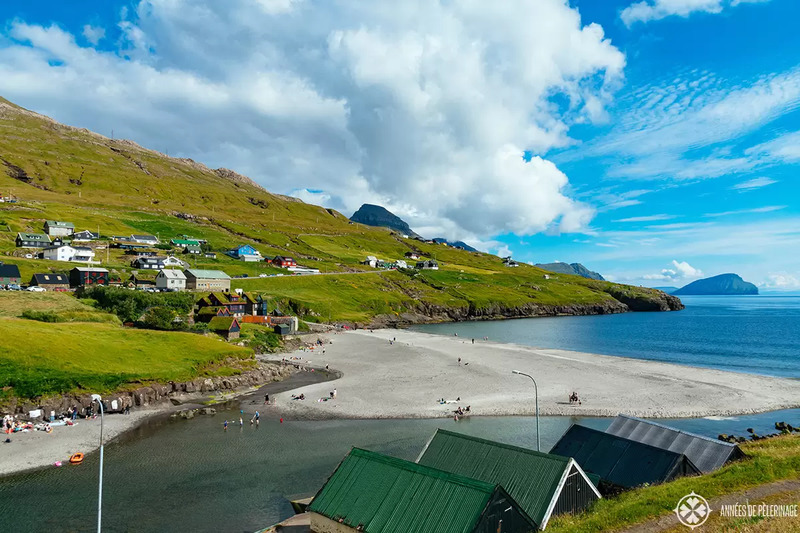 The good news: The Faroe Islands are far off from the international tourist tracks. The bad news: There are hardly any hotels worth their name. In fact, there is only a scant handful of them. That being said, the best place to stay is Tórshaven. Not because it’s the capital, and you’ll find the best nightlife here (there really isn’t a lot besides a pub or two), but because there are the most hotels and it’s sort of in the middle of the whole archipelago. Now truth be told, it’s not exactly in the middle, but there really are not a lot of guesthouses and no hotels in Hvalvik, Hósvik and the other smaller towns on Streymoy. 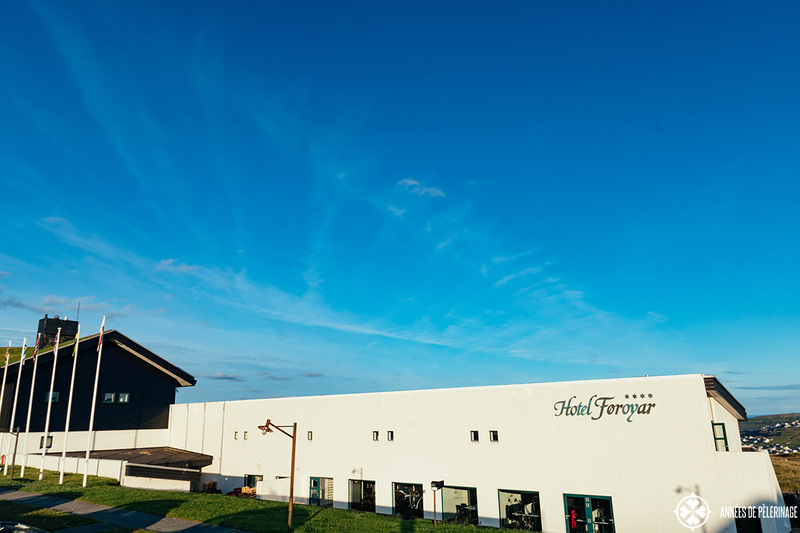 Either way, you will probably be driving around quite a bit during your stay, so Tórshaven is a good enough place to start out each day. 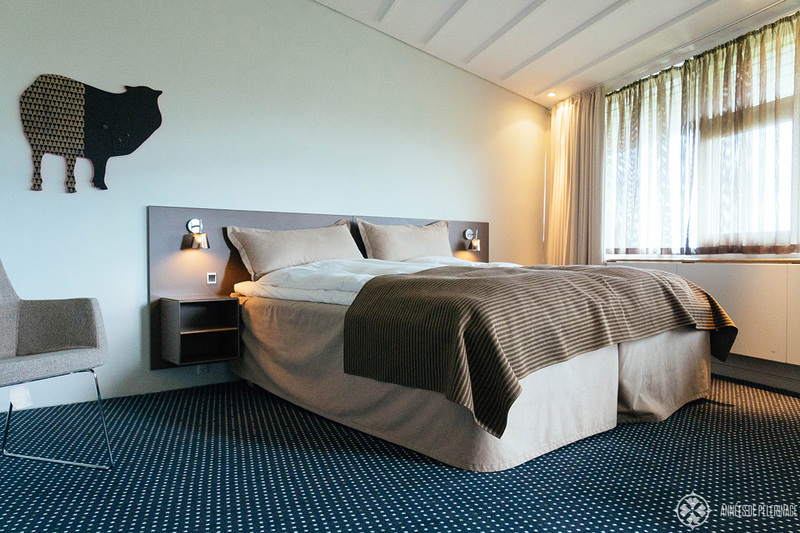 I stayed the Hotel Føroyar, which is the only true four-star property on the islands. It’s also the oldest hotel in Faroe, with quite a history. Yet, the rooms are clean and modern and the food quite good, while not being too expensive. The best part: Hotel Føroyar is sitting on a hill above Tórshaven, so you got a beautiful view of the city and the whole lagoon. They even got a couple of suites, if you like it fancy. I stayed at the wedding suite, which had a jacuzzi in it (which I loved sitting in after a long day). If this hotel is a bit too expensive for you, then you’ll find a couple of guesthouses and smaller hotels as well. Just check booking.com or other hotel sites for availability. Just remember to book a couple of months in advance, as they sell out rather quickly. Backpacking the Faroe Islands is possible (as they are not that big and hitching a hike rather easy), but wild camping is not. You can only use the designated places. Still, the Faroe Islands on a budget should be possible if you don’t mind the frequent rains. One last word. If you are wondering how many days to spend in the Faroe Islands, then I really got no easy answer. I heard the weather can be quite bad (I never saw a drop of rain *lol*), so having a spare day or two might be a smart move. Personally speaking, I’d say, 5 days and a smart itinerary is enough to see most of it. But if you are an avid hiker and like to take things slower, you can easily spend two weeks there. So that’s it. 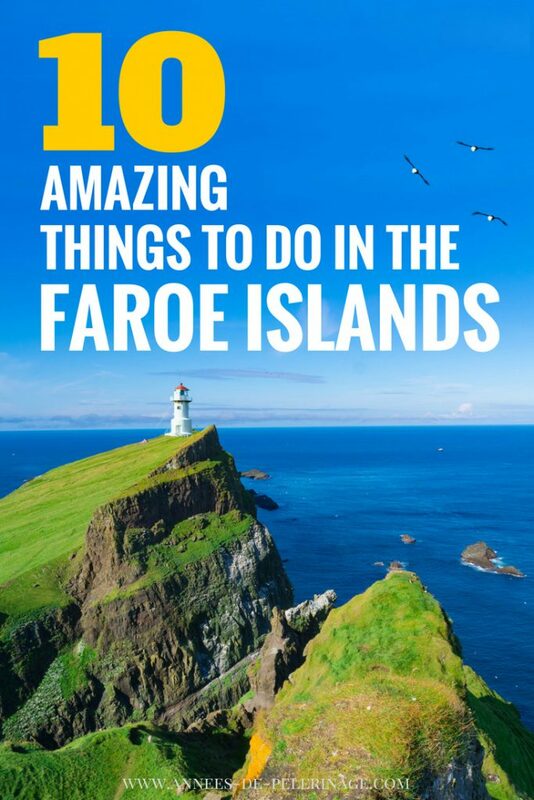 This was my little travel guide to the most amazing things to do in the Faroe Islands. Got any questions? Feel free to ask them below. Liked this travel guide? Pin it to your Pinterest board! Thank u for a great post. We will be going to Faroe Islands in August. How does one get around? Does one hire a car? How much do they charge? Does anyone there speak English so one can get some advice? no worries, much like anywhere else in Europe, you will have no problem getting around with English. Best time to see the Northern lights in the Faroe Islands would be November from February. As for getting around, hiring a car is the best and easiest way. Cars are considerably expensive (pretty much like everything else). Please do check the usual rent car companies for a current quote.